Batik is one of Indonesia’s cultural heritage that has been worldwide. UNESCO has set batik as Masterpiece of The Oral and Intangible Heritage Humanity since 2 October 2009. In the world of Fashion, Batik cloth has its own place. Because it has a Fashion style that does not exist in other fabrics, batik is often combined with other materials. Not infrequently the work of batik from renowned designers can amaze many pairs of eyes. Woven Batik Cloth is a fabric that has a variety of patterns made with canting and stamp. Using wax as a color barrier. This technique can only be applying to materials made from natural fibers such as cotton, silk, wool. Can not be applied to the fabric with artificial fibers (polyester). Indonesia has a variety of batik motifs, especially every area has a distinctive batik motif. Each batik motifs describe the characteristics of each region. It is also a symbol of the diversity of local wisdom from a region. Sogan motif is one of the classic Batik in Indonesia that is thick with traditional elements. The dominance of Sogan batik color is dark as black and brown. Has the name of Sogan batik because at the beginning, the process of coloring this batik cloth using natural dye wood stalk Soga tree (Peltophorum pterocarpum). 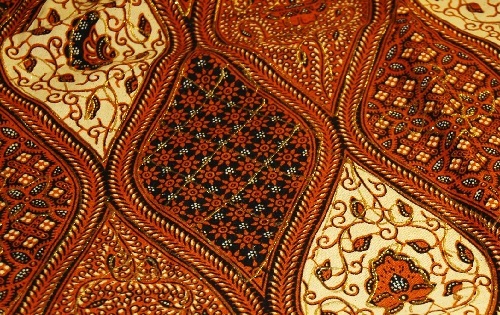 Batik Sogan is a type of batik that is identical with the royal palace of Java Ngayogyakarta Hadiningrat (Yogya) and Surakarta Hadiningrat (Solo). The seven batik motif comes from Pekalongan. This batik has a very strong character with the nuances of natural wealth. Generally, Pekalongan batik displays a motif picture of animals or plants. The motives on the seven-tone batik are drawn from a mixture of local and ethnic Chinese cultures. This is because Pekalongan used to be a transit place for traders from many countries. So that cultural acculturation that makes batik Pekalongan very distinctive. Especially motif Jlamprang, motif Buketan, motif bright moon, cement motif, and motif Pisan Bali. Batik motif derived from the city of shrimp, Cirebon. Mega cloudy batik motif is a result of cultural assimilation between indigenous people of Cirebon with the understanding of philosophy from Chinese society. In the past, the Chinese people entered Cirebon through the port in Cirebon. One of the trading ports is quite crowded. 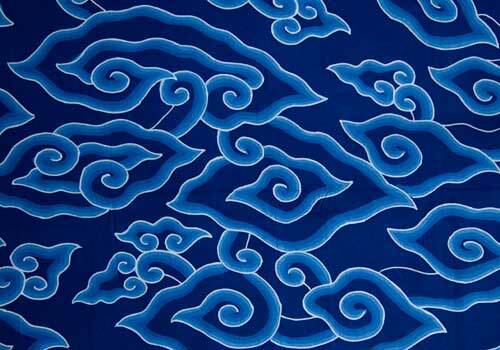 Batik motif shaped like a cloud with a color that describes the shades of clouds. Motifs made on the field in the form of curved lines that form a cloud image that clumps. Batik mega cloudy dominated with blue, white, and gray which symbolizes the color of the sky when it is cloudy. Batik is deriving from Central Java and Solo. 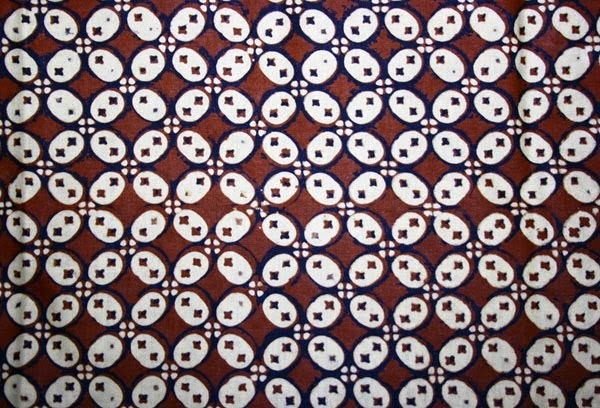 Kawung batik motif has a circle pattern similar to Kawung fruit or sugar palm fruit. In addition, batik motif Kawung also has a meaning of a lotus flower picture with four leaves of brown leaves. The lotus flower is a flower that symbolizes longevity and holiness. Batik motif Kawung this neatly lined up geometrically on the fabric. Parang batik motif is an original Indonesian batik that has existed since the time of the court of Mataram Kartasura (Solo). Who created it was the founder of the Mataram palace. So this motif becomes the main guideline in determining the degree of someone’s nobility. Even in earlier times who may wear a machete motif only the king and his descendants. Motifs poured into the fabric form like the letter S, intertwined with each other, intertwining, and this symbolizes a continuity. The letter S is adapting from the shape of the ocean waves, describing a spirit that never goes out.